Become More Relevant, be Found & Make More Sales! RealtyPRO™ Network allows buyers, sellers, and other Realtors to finally have a way to find only the best pre-qualified, experienced, professional Realtors in the region and specialty needed. …buyers, sellers, and other referral agents will find you easier, and know that you have been pre-qualified as one of the most professional and relevant agents in your region to stand out above the myriads of new or mediocre agents throughout the US and Canada. More buyers and sellers for you means more closed deals, and of course an increased bottom line. …you’ll be qualified to receive and give in-network agent-to-agent real estate referrals for a referral commission. The best experienced professional agents from other regions will know that their client referral to you will be handled with the highest level of experience, professionalism, and quality of service that they deserve. Likewise, you can be assured that your client referrals to other RealtyPRO™ Network Advisors will also be given the utmost service and care through to a completed sale. The more agent referrals you receive or give, the better your bottom line. It pays to be a part of the RealtPRO™ Network! This exclusive network is not for inexperienced agents; however they can still join for free as members to stay abreast of the latest news and trends in real estate. And with more experience, education, and credentials, they too can become an Advisor. Become Relevant! Set yourself apart by becoming an Advisor with the most relevant, fastest growing professional real estate agent network, showcasing only the most experienced and professional agents in real estate. Create a local team of referral agent advocates, referring all their past and future buyer, seller, and rental contacts to you! 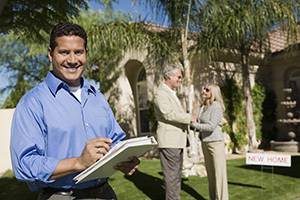 Get the best pre-qualified referrals, buyers, and sellers, to increase your bottom line. Receive pre-qualified in-network real estate referrals from the most relevant agents in our industry, other Advisors and Associates. Increase your yearly net income by increasing your sales leads. Real estate sales is a numbers game! Get relevant & found! By showcasing your professional credentials and experience in an exclusive network you will be utilized by more home buyers and sellers. Receive the latest real estate news and advice for closing more sales in your specialty. Post discussions and questions in our 8500+ member LinkedIn Pay it Forward agent community with fellow experienced real estate professionals. The Pay it Forward sharing concept helps us grow our business more professionally and even faster than we could on our own. More great benefits in development and coming soon – It’s FREE to join as a member! Become a RealtyPRO™ Advisor NOW! I needed a place to hang my Florida real estate license so I thought I would try RealtyPRO Network, and I am glad I did. What a great experience! Although I did not make referrals, this opened the door for a lot of conversations with my Mississippi real estate clients. I would highly recommend RealtyPRO Network. Dan Biro runs a professional organization!! Great company and great service. I would definitely recommend it to agents looking to hang their license with a reputable company. I didn't even know that it was possible to hang my real estate license as a RealtyPRO Associate referral agent and not have to pay to be a realtor. This worked great because I'm doing something else now, don't have the time. My cousin was buying a house, I referred her to a realtor through the website, and I got a check for over 2K for basically doing nothing, just hooking her up with a good agent. Perfect timing and quick too thank you! Definitely worth it keeping your license active with Realtypro Network! Very professional. -Nick R.
Click the bottom right corner of the video after starting to view full screen.